Electricity production per kilowatt solar installation in India is the highest compared to any other country in the world. Thanks to India’s geographical location on account of which it receives plentiful sunshine and clear skies for about 300 days a year. With the right technology in place for harnessing it efficiently and cost-effectively, and a firm purpose of policy makers and leaders, solar energy can become omnipresent and fulfil our entire power needs. 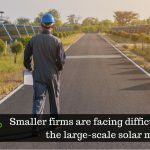 Industries, commercial entities, and residential people are utilizing their rooftops for setting up solar power units. 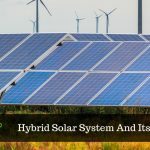 Widespread adoption of solar rooftop solutions significantly brings down grid power requirements relieving some stress off the electricity grid, allowing several applications to work using off-grid power, especially in remote areas. Talking about empowering the people of India, the role of rooftop solar energy is dominant ensuring several facilities, job options for the youth, and profitable propositions for small business startups. And all this in an eco-friendly manner! Those electronic devices that were once powered by the batteries can now be powered by solar chargeable kits or solar rooftop producing electricity at our homes or workplaces. The batteries are costly and degrade the environment while solar systems are comparatively cheaper and do not harm the environment. Apart from these, there are also emergency cell phone chargers made of solar panels for mobile devices available in the market. Coming back to solar rooftop, there are many villages in India where electricity is not available for hours. People who had to depend on unhealthy and dangerous fuel lamps or lanterns can now use sustainable solar lamps powered by their rooftop solutions and free themselves from pollution, dim light and extra cost on non-renewable fuels. Although conventional energy may still be in a widespread use, solar energy along with other forms of renewable energy are replacing it. 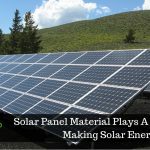 With the awareness of solar energy spreading to every nook and corner of the earth, the practical implementation of its use to the fullest is still a great challenge. If solar energy replaces non-renewable energy resources in the numerous pursuits of our existence, expenditure will be reasonable and environment will be safe. And the most viable way to do so is through the utilization of rooftops accommodating solar panels to not only power our existence but also empower it and foster renewable energy sufficient solar India.